Having lived in Utah for the past 11 years I remember the fame of The Used and then the break out of Neon Trees a couple of years back but I haven't heard so much potential in a band as I have with Desert Noises, and what they bring to the Utah music scene. 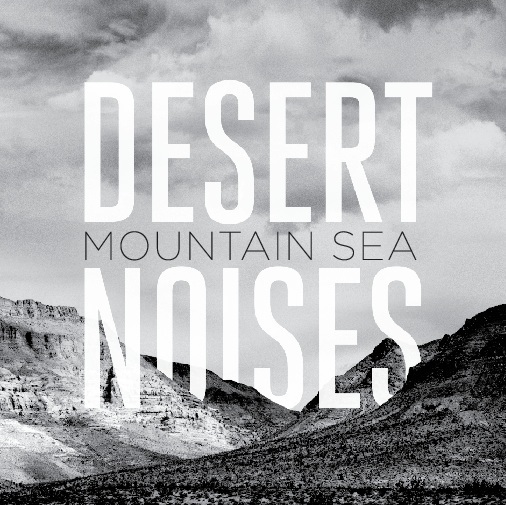 Desert Noises sound is somewhat of a cross between Fleet Foxes and Local Natives, and that alone should get any music fan excited. Their new album 'Mountain Sea' deserves some serious listens not only from its Utah fan base but on a National level. I have followed a few local Utah bands and I have to say Desert Noises is the first band from the State that I am 100% on board with and expect them to get their big break in the near future. I recently hit up band front man Kyle Henderson with a few question about the new album 'Mountain Sea'. "We recorded the basics of the record live so we had to have a pretty clear vision of what we wanted going in. The record took a lot longer then we planned for because of Joshua's touring schedule but i think it helped in the big picture of the sound." he also added "I think each song has its place on Mountain Sea. It is a full record and was planned that way. Without one of the tracks it wouldn't feel complete like it does now." The album starts out on a high note with 'Highway Cars'. It is a heavy hitter, you can hear the Fleet Foxes similarities in Henderson's vocals. This track is one of the albums many highlights. Next up is 'Bible Study' and it is a light hearted fun song that is upbeat And mixes things up. 'Tell Me You Love Me' is a very sincere sounding song, has the slow song vibe going on. An all around gem of a song, something that would make Jeff Tweedy proud. 'Oak Tree' is the first song I heard from Desert Noises. I remember seeing the video and how I was instantly hooked on the songs energy. It is still one of my favorites but this album is so much more then just one song. 'Your Wolf' a little bit of a change up of a song which slows things down a bit. 'Hey Ah' is another one of those fun songs. The song has its own identity and the band shows how they can all work so well together and make it work. 'Dressed Like A Ghost' is where the album starts to send you off in relaxing form. The last 4 songs are more of the calmer, chill out variety, which is not a bad thing at all. 'Up The Mountain' brings a serious even tempered approach that mellows in and out throughout its chorus. 'Smoke Breathing Monsters' continues in the mellow department and it fits perfectly with the album as a whole. This is the type of song when you listen to it you feel that there are going to be bigger days ahead. The albums conclusion is 'Where I Will Go' and it is a nice little send off. Desert Noises are going about their music in the right way just hitting the road and playing their songs, releasing a solid full-length debut in Mountain Sea, and not getting caught up in the promote our music first game. They have created a fantastic album and now are just letting it speak for itself. Their song writing and lyrics are both very strong and are a pleasant surprise for such a young band. I know being a band from Provo, Utah may have its drawbacks right from the start but it shouldn't. An album such as Mountain Sea needs to be heard and all those that listen need to fuel that fire to everyone else that will listen.